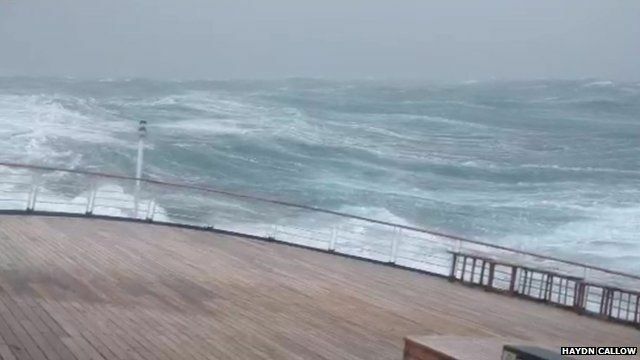 Deadly storm seen from cruise ship Jump to media player Footage has emerged taken from inside the cruise ship on which an 85-year-old man was killed after a freak wave hit the ship in the English Channel. 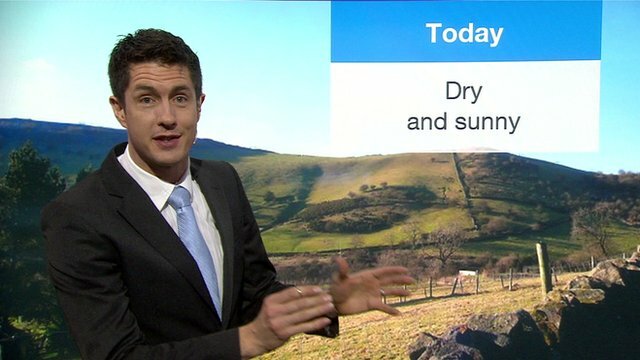 Storm reprieve in weather forecast Jump to media player After sunshine and light winds on Sunday, next week looks like being unsettled with further spells of rain but not as stormy as recently. 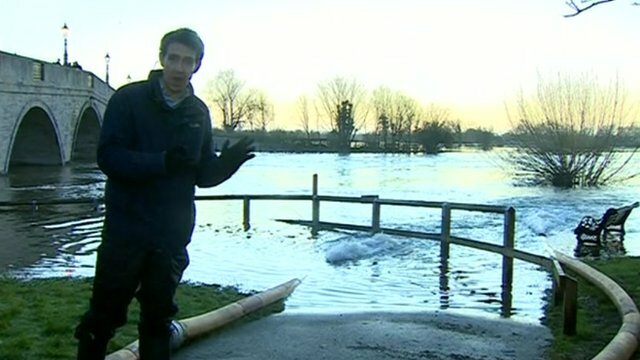 Warnings remain over river levels Jump to media player Despite lighter winds and less rain, river levels are still expected to rise in some areas, with 16 severe flood warnings in place - 14 of them along the River Thames. 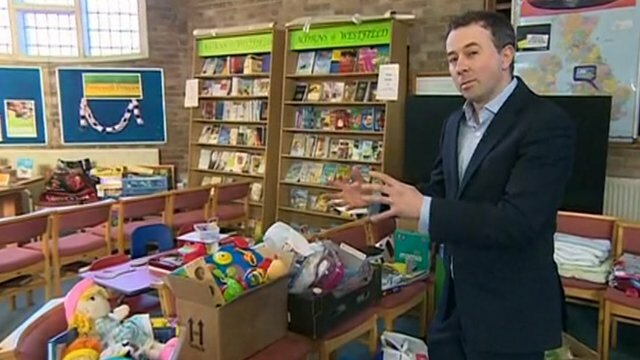 Inside Somerset flood relief centre Jump to media player Sedgemoor District Council opened a rest centre in Bridgwater two weeks ago, offering families food, showers and somewhere to take stock and plan. 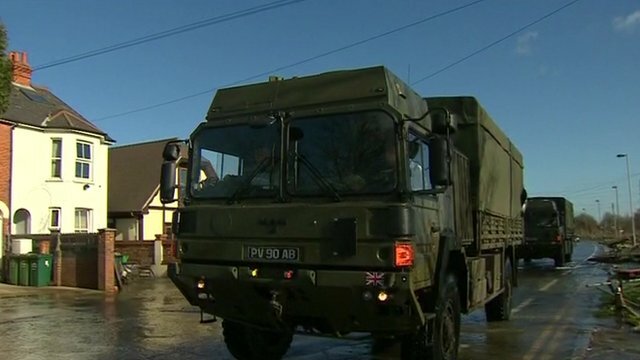 Flood residents 'cynical' over army Jump to media player Jon Brain reports from Chertsey in Surrey where flood water has begun to recede. US weather: Why is it so severe? 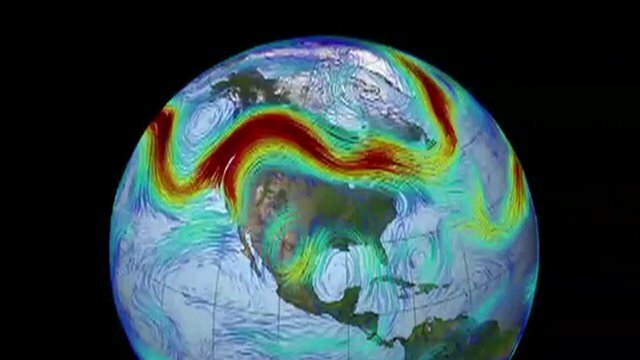 Jump to media player The BBC's science correspondent Pallab Ghosh reports from Chicago on why the US has been gripped by such extreme weather patterns. 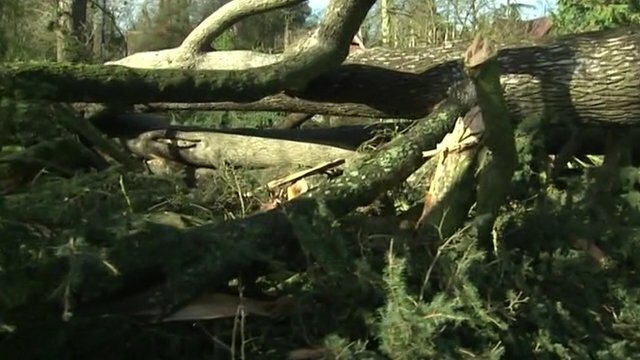 Storm fells 250-year-old tree Jump to media player Chris Eakin reports from Hursley in Hampshire where one resident is clearing up after the storm felled a 250-year-old tree. Footage has emerged of a cruise ship being rocked by a severe storm, around 45 minutes before a passenger on board was killed. James Swinstead, 85, of Colchester, Essex, died when a huge wave crashed into the British vessel, Marco Polo, on Friday. His widow, Helen, praised the crew but criticised the vessel as "badly maintained". Operator Cruise and Maritime Voyages (CMV) said the ship was fully compliant with "strict" maritime regulation.